Jason Statham’s new giant-shark movie, “The Meg,” is a fun action movie, but is best seen in 4DX, where the seats move and you’re sprayed by water. The water effects were a tad disappointing, but you’re not going to find that in any other theatre experience. The movie is best seen in a theatre with an engaged audience looking for a good time, and 4DX heightens that. The new giant-shark movie, “The Meg,” from “National Treasure” director John Turteltaub, is a dumb, fun action movie that’s perfect to end the summer with. And if you’re willing to shell out $US30 a ticket on a movie where Jason Statham has a “Star Wars”-type battle with a shark (under water, of course), then 4DX is the best way to watch it. 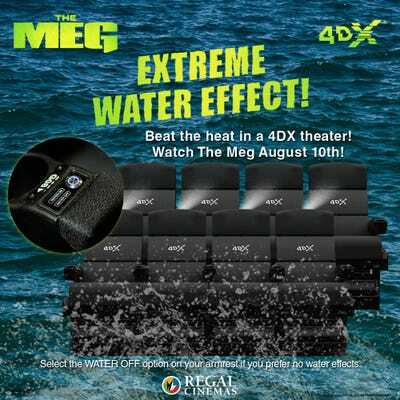 A 4DX theatre tries to replicate the environment in a movie to the best of its ability with water, scent, wind, and light effects. In a movie like “The Meg,” where a lot of it obviously takes place under water, you get sprayed and dripped on. The seats move and vibrate during action-heavy scenes, too, and it’s all in 3D. 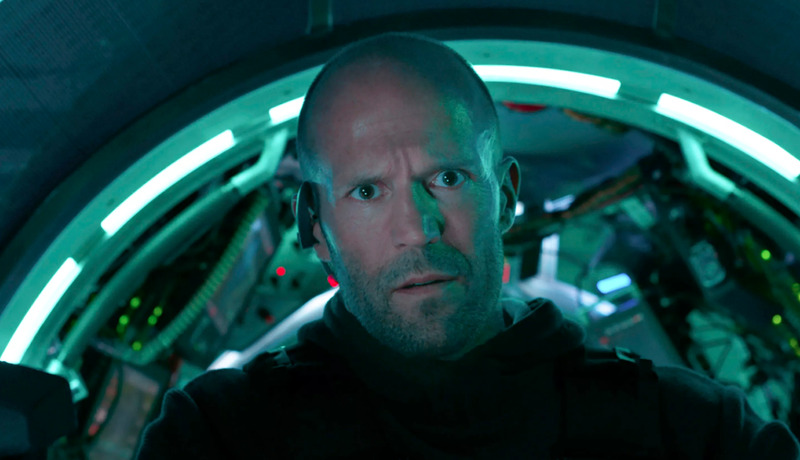 “The Meg,” in case you’re unfamiliar, follows a former diver named Jonas Taylor (Statham), who is brought back into the game to stop a prehistoric, giant shark that has escaped a newly discovered region deep within the ocean. Who discovered it and set off this terrifying chain of events? Scientists at a research facility funded by an arrogant billionaire played by Rainn Wilson. 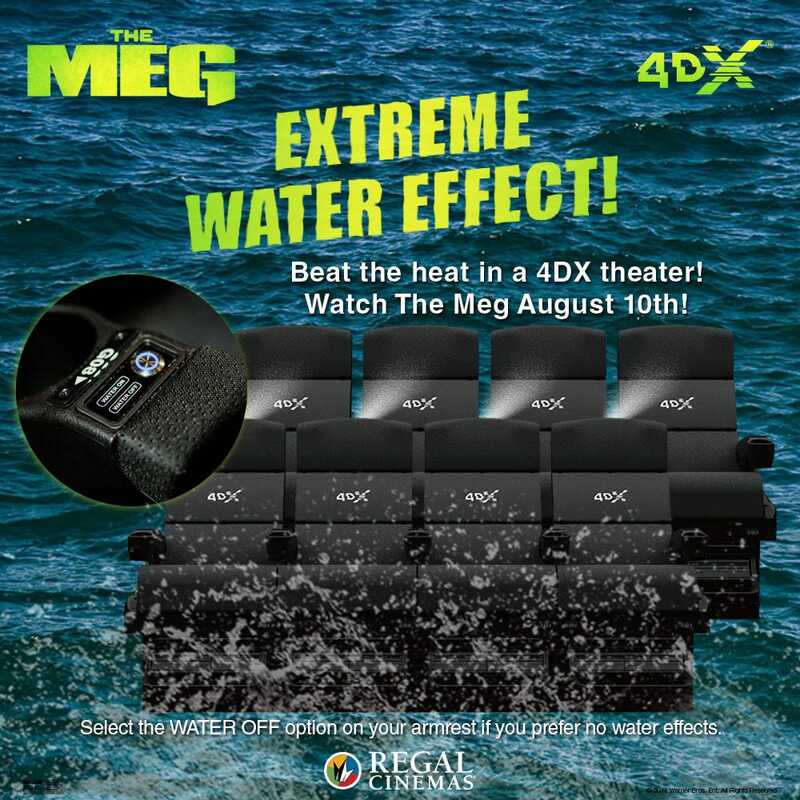 “The Meg” is already an entertaining movie, but 4DX makes it more enjoyable. The water effects were apparently maximized to their full potential for the movie. The effects didn’t quite live up to my high expectations (I guess I anticipated being soaked). In fact, I think the most I felt water dripping on me was during a scene where Jason Statham takes a shower, which was odd. But you’re not going to get sprayed by water in any other theatre, so it’s tough to complain. You have the option to turn the effect off, but who would want to do that after dropping $US30 on a shark movie? Just make sure to bring a sweatshirt, because it will get cold. 4DX is most fun in a theatre with an invested audience. The audience in my theatre was fully into the human-eating, shark-fighting goodness, and people lost their minds during a few key scenes. Remember when Samuel L. Jackson gave a rousing speech in “Deep Blue Sea” and is suddenly eaten by a shark mid-sentence? I’ve never trusted a scene since where a character is standing by him or herself facing a group of people. They either get eaten by a large animal or hit by a vehicle, and in the case of “The Meg,” the worry is obviously that they will get eaten by very large shark. There’s a few scenes like that in the movie that make you cringe with anticipation, and it delivers for the most part, albeit nothing like that scene in “Deep Blue Sea.” The movie is mostly predictable in that sense, and hits all the familiar beats of a movie like this. But the best thing about it is that it works. It gets off to a slow start, and I found myself wondering “is this a giant shark movie?” a few times in the beginning. But once it delivers on the giant-shark promise, it never lets up. Would I have enjoyed it as much if not for 4DX, though? Probably not. Jason Statham fighting a giant shark, while also trying to be charming, can only go so far.